It’s Time D-Heads! 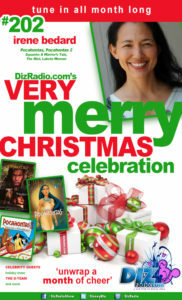 This week kick we continue our 7th Annual Month Long DizRadio Very Merry Christmas Celebration! 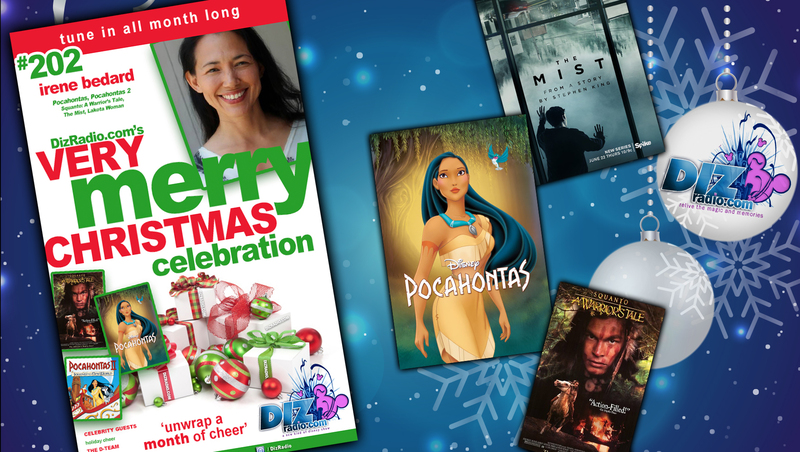 To keep the spirit of giving going we welcome IRENE BEDARD (Voice of Pocahontas, Pocahontas II, Squanto: A Warrior’s Tale, The Mist and more) to the show! 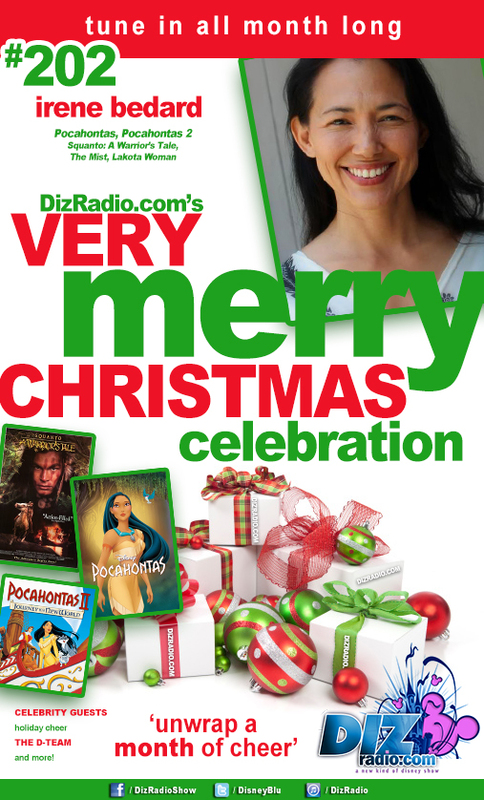 Irene stops in and discusses becoming Pocahontas, the lasting power of the story, being part of The Mist, her upcoming projects and the highly anticipated Wreck-It Ralph sequel. In addition no show is complete without the D-Team and we have all kinds of Holiday Cheer to brighten your week as you ask the questions and Erin has the answers in I Want to Know. 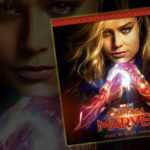 Frank brings you inspiration with the Disney Quote of the Week while Domenic gives you the tips and tricks for your vacation in The Short Leash. Alexa is here with the latest from Walt Disney World and Disneyland in Disney Parks in 5, and Chaz strolls down the Hollywood Walk with more on our special guest this week. If you are hungry Trisha and Jamie give you the tastings in Magical Munching and Michael takes your through the parks in Walt’s Footsteps. And let’s not forget Randy with some holiday cheer to brighten your week with Christmas memories, recipes and more. 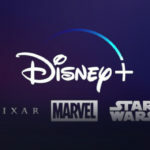 There is news fresh off the D-Wire with news about Walt Disney World, Disneyland, Marvel Entertainment, Stitcher Radio, Wolverine, Star Wars, Columbia Star Wars Jackets, Disney Channel, Disney Junior, Cupcakes, Sprinkles, Star Wars Currency, Coco, Disney Interactive eReader Books and more!